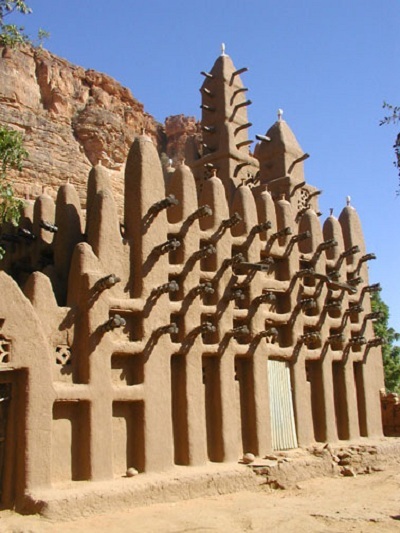 Mud Architecture is basically studying mud as a building material which has already being tested and tried for thousands of years. The property of this material is very different from the ones which are in used in modern day construction hence the method of using it is very different. Like all materials this is also has its own limitations which can be overcome but the main advantage is we do not need lot of energy to manufacture it unlike brick, cement, steel, concrete, etc. Hence today when construction is consuming such a large amount of energy, which needs to be conserved it has become a necessity than a demand to sensibly explore into this alternative material for construction which I have discussed further in my article. Why Mud as a Building Material? In mud construction, minimum fossil fuel energy is consumed and is naturally abundant throughout the world. Where as in brick construction fossil energy is consumed for manufacturing process and transportation. Recycling of modern materials for building construction results in high cost. Recycling of soil does not need fossil fuel, labour require is also less. The characteristic of recycled soil for construction remains the same whereas in modern building material situ acquires inferior character after recycling. The abundance availability of soil in large areas help the economically weaker section of the society to afford the mud construction. It is easily adaptable and the technology can be transferred easily. A huge deficit of housing demand in urban and rural areas linked with limited resources on all fronts make it absolutely essential that the housing solution have to be best effective, through optimal and efficient use of all resources of land, finance and building material. Different materials are employed for different construction techniques. This entry was posted by Benzu JK on October 29, 2011, 12:13 pm and is filed under Architecture. You can follow any responses to this entry through RSS 2.0. I am intrigued – are the sticking out vestibule parts just a visual feature, or a structural thing. If they are decorative, do they have a long term impact on the integrity of the surface? If I could guess, the protruding wooden poles serve two purposes, one is decoration, the second is reinforcement. Mud is a great insulator, but I guess a structure might need some reinforcement too. But I am not really sure about it. can mud be used as a building material for a school that has to be built at a place where there is maximum amount of rainfall … is it stable enough?????? Mud can be used as a building material in place with maximum rainfall along with the building blocks of limestone. Mud can be used as a mortar in between the blocks and also sometimes as a plaster. Mud is generally used in places which are hot and dry. It has proved as an awesome building material in hot and dry, and warm and humid areas. It is a very good heat insulator. Helps to keep the houses cool in hot summer. It can also stand large amount of rainfall but it is preferable to not go for only mud if it has to be used in the major rainy areas. Thank you for visiting our website. We shall make an effort to try and gather some useful information regarding Mud Building Construction. pls can any one suggest me some famous mud architecture buildigs,…………. I am doing structures with compressed mud block.wish to add some other features to my buildings . can you suggest any thing? Is mud architecture suitable for only a single floor or can it sustain 3-4 floors? If it can, what will be the structural detail?